The Happy Spring! Gloria J. 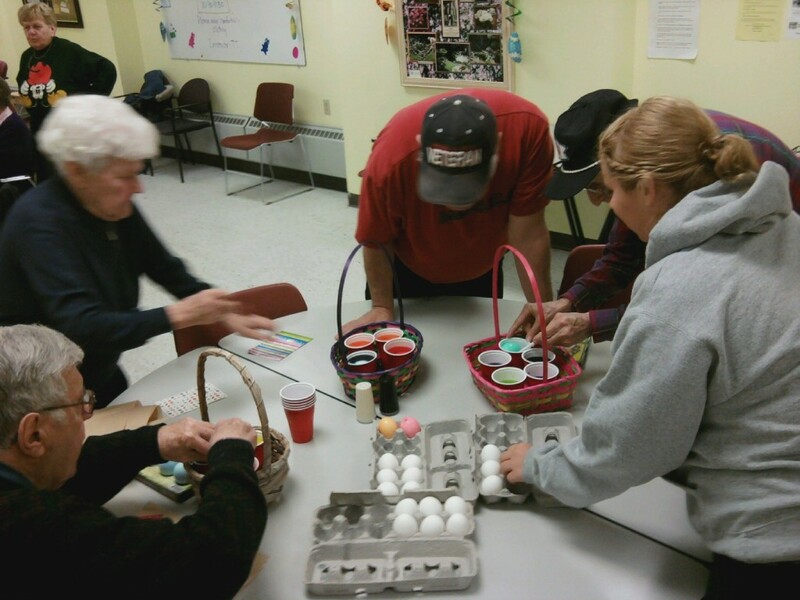 Seniors decorate eggs to celebrate. The seniors gather together to celebrate the holiday. 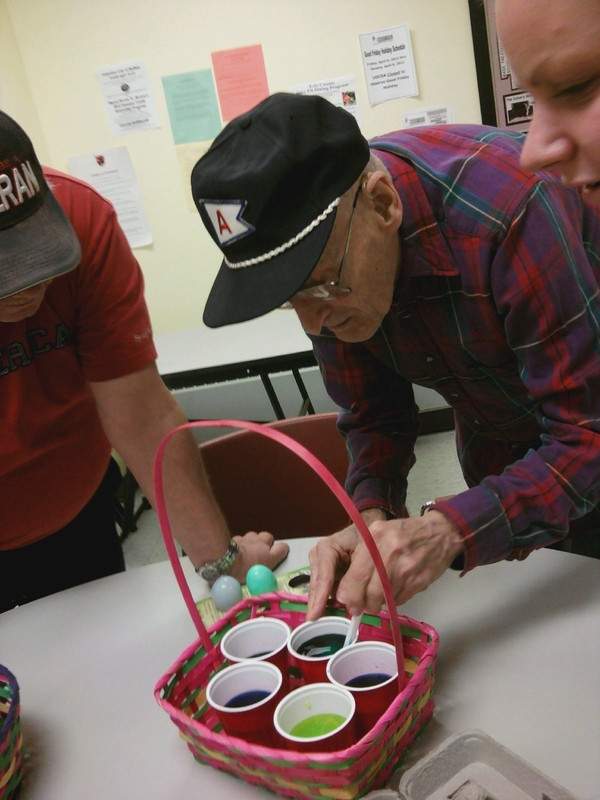 Easter egg decoration is a time honored tradition for those young and old! Larry works hard to make his egg the brightest blue! 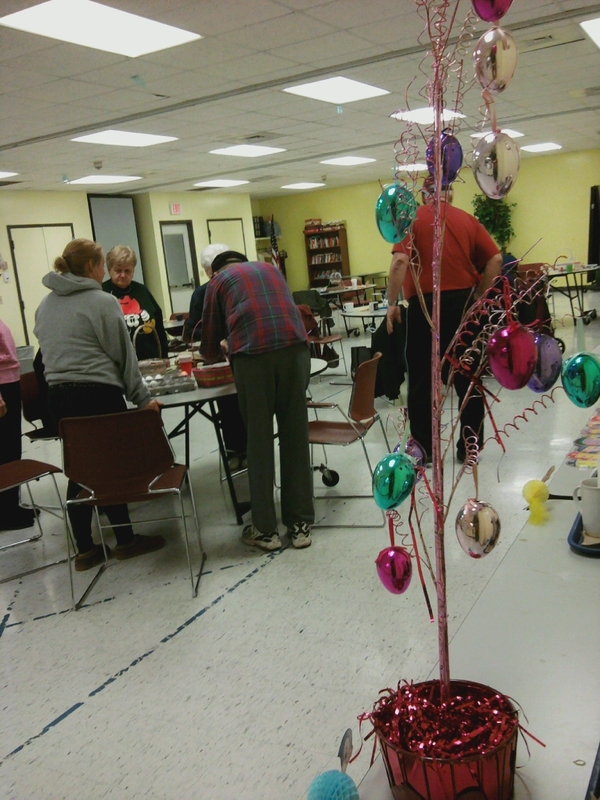 The room bustles with excitement as the seniors join with volunteers to make the holiday memorable.